Please join us for a magical evening of music, wine, and hors d’oeuvres. We are thrilled to launch our Annual Campaign to support the festival and our 2019 Artists in Residence at the Yamaha Artist Salon. 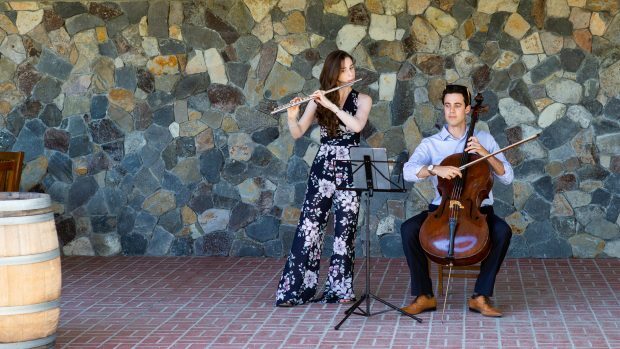 The concert will feature Artists in Residence Emi Ferguson, Doori Na, Tristan Teo, and Angie Zhang. Music will include Beethoven 32 Variations in C minor and the last movement of the “Kreutzer” Violin Sonata, Kapustin Piano Variations, Liszt Un Sospiro, and arrangements from Emi Ferguson’s album, Amour Cruel. Thank you to Michael David Winery and Blue Farm Wines for donating wine to our event.